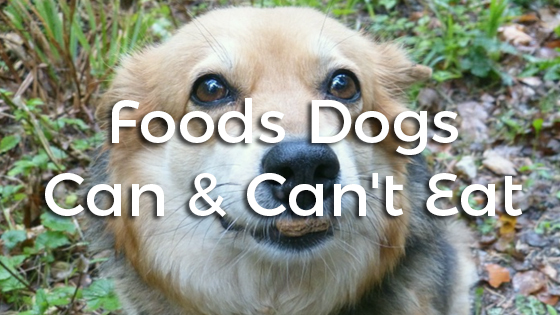 Foods Dogs Can & Can’t Eat – You Need to Know This! In some ways, feeding our canine companions is even scarier than feeding hungry children. Both physiological differences and our dogs’ frustrating inability to speak English make feeding them an anxiety-inducing task. Your toddler is, after all, a human, so you can easily model their diet after your own—you can guess that it is safe to give a kid a grape, and you instinctively know not to feed that kid the weeds growing in your garden (no matter how practical it would be!). Your dog, on the other hand, is a different kind of animal who has vastly different dietary needs and tolerances. Even scarier: your dog can’t tell you if the food you gave them caused a headache or an upset stomach! Unfortunately, when we make dietary mistakes while feeding our dogs, the results can be devastating. Because many foods that are safe and healthy for people are toxic to dogs, we can’t use our own diets as a guide. Most of us have heard stories of close friends who lost their beloved pets because they ate something they shouldn’t have. We know pet parents on both ends of the spectrum. At some point, we have watched relatives who painstakingly prepare everything that goes in their pets’ mouths, only to see a family friend haphazardly scrape dinner leftovers into Fido’s dish the following day. On top of all that, the Internet is full of claims that even the foods marketed for dogs may be unsafe!  Everyone has an opinion, and none of them seem to be consistent. We can’t tell you exactly what you should feed your dog in any given situation, but we can tell you which foods are safe and which are dangerous. The following is a list of the foods that dogs can and can’t eat. These kid-friendly fruits also happen to be some of the most dog-friendly! Apples and pears are nontoxic, sweet enough to keep your pooch coming back for more, and full of healthy vitamins and fiber. Preparation is easy: simply cut the fruit into bite-sized pieces and remove the seeds before serving. 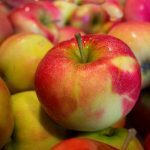 Though apples and pears won’t hurt your pet, it is important to practice moderation—too much fruit can cause diarrhea. This is another lunchbox favorite. Thanks to their nutritious, delicious, and budget-friendly nature, these brilliant orange veggies are among the best dog treats out there. They’re loaded with fiber and carotenoids that can regulate digestion and fight disease. That characteristic carrot crunch comes with other benefits, too: because they are chewy and fibrous, they are great for maintaining oral health. The fibrous carrot pieces can scrape plaque off your dog’s teeth, and the chewing required stimulates saliva production. Carrots aren’t a substitute for regular tooth brushing, but they’re a great way to keep your pup’s mouth clean and healthy between brushings! Unfortunately, your pup can’t partake of pumpkin pie, but they can enjoy a scoop of canned pumpkin! Veterinarians often recommend this wet, fiber-rich food as a gentle way to treat occasional diarrhea or constipation. Simply mix a couple tablespoons of canned pumpkin into your dog’s food. This festive food is gently sweet and packed with Vitamin E, beta-carotene, and potassium, so it’s a great way to include your pet in the fall festivities without upsetting their tummy or endangering their health. While fresh pumpkin is perfectly safe for your pooch, most sources agree that canned is best—just make sure that you buy 100% pumpkin and not pumpkin pie filling! Yet another orange vegetable! Another great source of fiber and beta-carotene, cooked sweet potato is delicious, nutritious, and easy on the stomach. 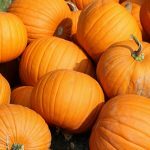 While many pet parents use sweet potato and pumpkin interchangeably, it is important to keep in mind that sweet potato is more caloric than pumpkin. If your dog is active, sweet potato is a great choice. If your pooch is a little pudgy, however, you may want to opt for pumpkin. 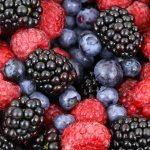 Berries are some of the most antioxidant-rich foods your pet can eat, and they come in convenient, bite-sized pieces. Most dogs love to eat berries in moderation, so there is no reason your dog should miss out on their anti-inflammatory, cancer-fighting powers. Next time you sit down with a bowl of fresh blueberries, feel free to toss your pet a few. As long as regular fruit consumption doesn’t upset your dog’s stomach, they can eat berries daily. This cheap, bland breakfast food works well for those suffering from short-term stomach bugs—whether they are human or canine. Oatmeal has moderate amounts of fiber, protein, and complex carbohydrates that can provide your dog’s body with nourishment when their stomach is unable to tolerate harder-to-digest foods. Plain oatmeal cooked in water is a safe, healthy food for dogs to eat in moderation. Give them a scoop of oatmeal for breakfast on a cold day or when their tummy can’t handle regular dog food. If you want to add some flavor, use dog-friendly fruits or vegetables, like apple or pumpkin, and avoid sweeteners, such as sugar or maple syrup. This is another safe option for dogs recovering from stomach problems. Cooked rice is an easy-to-digest source of energy that can help keep your pup’s stomach full when they’re feeling under the weather. 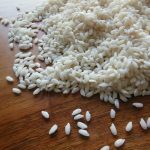 Though brown rice is a better option for healthy dogs, white rice, which is easier to digest, may be preferable for pups who have been vomiting. If you just want to use rice as a treat for your active, healthy dog, opt for brown rice. The higher fiber content will keep them fuller for longer and prevent insulin spikes, and the higher protein content will help with muscle recovery. Remember, however, that rice is not a nutritionally complete food, and it should not make up a large part of your pup’s diet. Eating too much rice will put your pet on the fast track to obesity. Fully cooked beans are a great supplementary food for active, healthy dogs! Beans are loaded with protein, fiber, B vitamins, antioxidants, and minerals like iron and potassium. Because they are loaded with protein, micronutrients, and complex carbohydrates, they are one of the healthiest human staples you could give your dog— after all, beans of all kinds are far more nutritious than bread, pasta, or rice. Beware bean binges, however; giving your dog too many beans can cause upset stomach, bloating, and gas bad enough to send you scurrying. If you want to give your dog beans, you can choose from chickpeas, lima beans, black beans, pinto beans, kidney beans, and soybeans. No matter which one you choose, make sure they are washed and thoroughly cooked. Raw beans are toxic. Also avoid baked beans, which are full of sugar. If you opt for canned beans, rinse them thoroughly to reduce the amount of salt. Dogs love peanut butter just as much as we do. So, if you’ve gotten into the habit of letting Fido lick your used peanut butter knife, never fear: it’s perfectly safe! Most nut butters are safe and healthy when they are given as rare treats. These creamy treats are full of protein and healthy fats that can benefit your dog’s health in small quantities. Unsalted or ‘natural’ brands of peanut or almond butter are the best choice. Avoid any nut butters flavored with artificial sweeteners. Though peanut butter won’t poison your dog, it is important to limit their portion sizes. 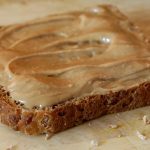 Nut butter is high in fat and calories, and too much of it can contribute to weight gain and pancreatitis. If your dog needs to watch their fat intake, or if their vet has suggested they lose weight, pick a treat that is less caloric. Though the Internet is full of myths pertaining to the dangers of soy, it’s actually perfectly safe for people and for dogs. Soy is one of the best sources of plant protein, and most dogs can digest it without any difficulty. The isoflavones in soybeans may offer small protective benefits (such as decreasing the risk of certain types of cancer), but more research is needed before anyone can say for sure. Soy foods like tofu and tempeh are safe for dogs (as long as they are not flavored using unsafe ingredients! ), but the best way to give your dog soy is to cook up plain ol’ soybeans! So, if you feel like sharing a little edamame with your furry friend, there’s no reason to feel guilty. Soybeans are just as healthy as black and pinto beans. 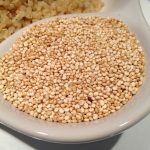 Even though many health and fitness blogs have been possessed by the gluten-free ghost, scientific consensus still tells us that yes, whole grains are healthy—for us and for our dogs. Whole grains, including wheat, contain protein, fiber, and complex carbohydrates that can help support active or growing dogs. Because dogs evolved alongside people, their bodies can digest starchy grains. Wheat, oats, quinoa, amaranth, and buckwheat are all safe for your dog to eat in moderation. Plenty of our favorite vegetables make safe, nutritious snacks for dogs! Veggies like green beans, asparagus, cauliflower, broccoli, and celery are all nontoxic and loaded with vitamins, minerals, and antioxidants. If your dog is prone to gas, try cooking cruciferous vegetables (like broccoli and cauliflower) before serving. This will make them easier to digest. 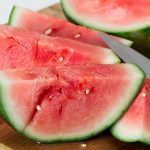 Melons are sweet, watery summertime favorites, and they are great treats for dogs. Melons of all types will provide your dog with fluids, vitamins, and antioxidants that can keep them happy and energized all summer long. Simply remove the rind, chop into bite-sized pieces, and serve. Just don’t get carried away—these watery fruits can cause diarrhea if they are consumed in excess. These sweet snacks can be deadly for dogs. Canines who eat grapes or raisins can suffer from sudden kidney failure, which, left untreated, is fatal. Some dogs may be able to handle eating one or two raisins, but there is no safe amount. Symptoms of grape/raisin poisoning include poor appetite, vomiting and diarrhea, depression, stomach pain, decreased urination, tremors, and seizures. If your pet has eaten more than a grape or two, seek veterinary care before as soon as possible. The smell of garlic and onions makes our mouths water, but dishes flavored with these ingredients should be kept far away from the family dog. These pungent vegetables contain a compound that damages red blood cells, compromising their ability to carry oxygen throughout the body. 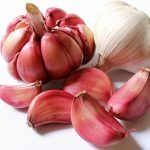 The damage can cause the blood cells to rupture, causing the body to excrete them more quickly than usual—which is why garlic or onion poisoning often lead to urine that is red or brown in color. Tiny quantities of these foods usually are not fatal, but they can add up quickly. Don’t give your dog anything flavored with garlic or onions. Chocolate contains theobromine, which is poisonous to dogs. Symptoms of theobromine poisoning include high fever, vomiting and diarrhea, stiff muscles, anxiety, heavy or accelerated breathing, rapid heartbeat, low blood pressure, and seizures. If your dog eats chocolate, seek veterinary care as soon as possible. As a general rule: the darker the chocolate, the higher the toxicity risk. Dogs have a much lower tolerance for caffeine than we do. 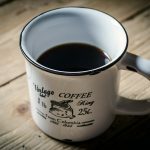 Licking a couple drops of coffee off the kitchen floor won’t hurt them, but larger amounts of caffeine can cause panting, trembling, nervousness, irritation, high blood pressure, rapid heartbeat, hypothermia, seizures, and death. Caffeine can cause heart failure, and it often shows up in places we don’t expect it. This puppy poison exists in coffee, tea, candy, soda, energy gels, electrolyte tablets, protein bars, and many other products. Though it technically isn’t poisonous, dairy products are not suitable for canine consumption. Dogs, like all other adult mammals, are lactose intolerant—most dogs have difficulty digesting the lactose present in milk, yogurt, cheese, and ice cream. Dairy also tends to be high in fat, cholesterol, and calories that can lead to weight gain and cardiovascular problems. Dogs are not wolves, and factory farmed cows are not wild deer. 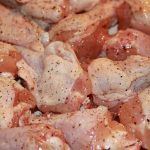 Dogs can digest raw meat just fine, and meat is an efficient source of protein and iron, but the risk of contamination is too great to justify feeding raw meat to your pet. Pathogens in raw beef, chicken, or seafood, such as salmonella and E.Coli, can cause serious or life-threatening illness. The only way to kill dangerous bacteria and parasites is to cook all meat thoroughly. Xylitol is an artificial sweetener that often shows up in gum, sugar-free baked goods and candy, toothpaste, vitamins, mints, and even peanut butter. Though it is safe for people, it causes severe insulin spikes in dogs, which can cause fatal drops in blood glucose levels. Dogs who eat xylitol may experience symptoms of severe hypoglycemia within an hour after eating it.  Symptoms of xylitol toxicity include extreme fatigue, muscle weakness, stumbling, poor coordination, seizures, tremors, black stool, jaundice, and collapse. If a product advertises itself as sugar-free or no-sugar-added, read the ingredients carefully to make sure that xylitol is not used as a sweetener. Your dog is better off eating sugar than xylitol! 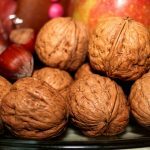 While nut butter is an acceptable treat for your dog, whole nuts are not a great option. Dogs really don’t chew their food. This means that any nuts you give them will probably be swallowed whole, which makes them both a choking hazard and a potential blockage. A couple pecans probably won’t poison your pooch, but they can cause serious problems if they become an obstruction. Can Cats Eat Lima Beans? Can Rabbits Eat Sweet Potatoes?